This review was originally published on April 26, 2015 out of the Tribeca Film Festival. Cartel Land hits U.S. theaters today. Dangerous doesn't even begin to describe Matthew Heineman's Sundance double prize-winner, Cartel Land. Miraculous and death-defying might be the more apt adjectives. To create his thorough, personal, and multi-dimensional look into the U.S.-Mexico Drug War, Heineman literally risked his life. To make this film, Heineman got caught in the middle of shootouts and followed vigilantes as they hunted drug cartel members. Thus, Cartel Land is riveting filmmaking, putting any other narrative drama on the drug war to shame with its heart-stopping action sequences and life-or-death circumstances. 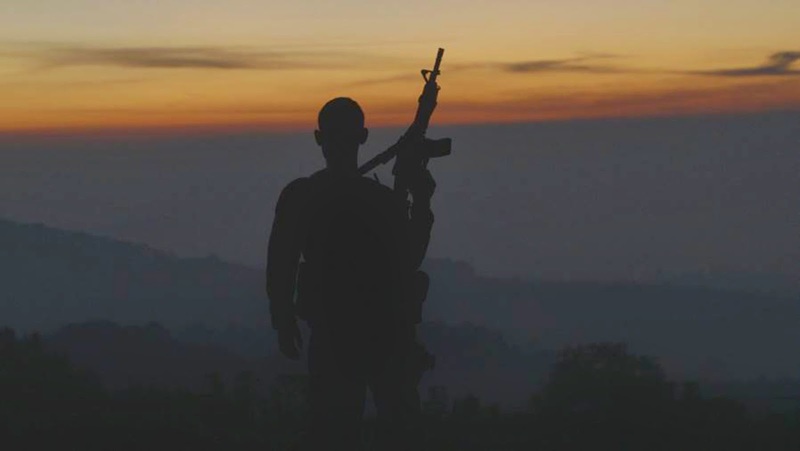 Cartel Land is an unflinching and utterly hopeless look at a war with no end in sight. Heineman refuses to sugar coat anything. He shows this drug war in all of its brutality. Much of Cartel Land is hard to watch, but it's impossible to turn away. With this film, Heineman makes the drug war personal. By following citizens fighting drug cartels on both sides of the U.S.-Mexico border, Heineman shows the effects this drug war has on people's lives. The intensity of the trauma described and depicted is indescribably disturbing, and Heineman doesn't shy away from the horrors. Most importantly, Cartel Land is a ruthless exposé of the Mexican government's involvement in and inability to control the drug war. The American government doesn't get a pass from this film, but it's mainly the Mexican government that is targeted by it and for good reason. This war will never end if people involved in the Mexican government keep supporting the drug cartels. Overall, Cartel Land accomplishes the impossible: it manages to create a portrait of one of the most complex conflicts of today in 98 minutes. While ultimately too long, every second of this film is compelling, rendering the overlong running time unimportant. With twists and turns that could only happen in real life, Cartel Land is yet another example of the truth being far stranger than fiction.